Check Point Software Technologies Ltd. (NASDAQ:CHKP) stock took a hit today after the company lowered its outlook for the full year of 2018. Check Point Software Technologies Ltd. updated its guidance for the full year of 2018 to include earnings per share ranging from $5.45 to $5.75. This is down from its previous earnings per share expectations of $5.50 to $5.90. Wall Street is looking for earnings per share of $5.73 for 2018. The lower outlook for 2018 also includes Check Point Software Technologies Ltd.’s revenue. The new expectations have revenue coming in between $1.85 billion and $1.93 billion. Previous expectations for 2018 revenue were $1.90 billion and $2.00 billion. Analysts’ revenue estimate for 2018 are sitting at $1.95 billion, reports Reuters. Check Point Software Technologies Ltd.’s lowered guidance for the full year of 2018 comes despite an earnings beat for the first quarter of the year. The company’s earnings per share for the period was $1.30. This is up from the $1.20 reported in the same period of the year prior. It also beat Wall Street’s earnings per share estimate of $1.28 for the quarter. Net income reported during the quarter was $187.14 million. This is better than its net income of $182.55 million reported in the first quarter of 2017. Operating income came in at $213.43 million, which is up from the $210.83 million reported in the same quarter of last year. 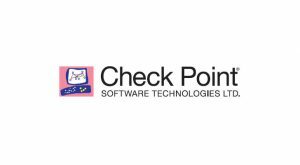 Revenue reported by Check Point Software Technologies Ltd. for the first quarter of 2018 was $452.33 million. The company’s revenue from the same time last year was $435.45 million. Analysts were estimating revenue of $452.23 million for the first quarter of the year. CHKP stock was down 6% as of Wednesday morning. Article printed from InvestorPlace Media, https://investorplace.com/2018/04/check-point-software-technologies-ltd-down-on-guidance-update/.